Chinese shipping conglomerate COSCO Group will continue to run two container terminals of Piraeus port in Greece under a 35-year concession agreement, after Greece's newly elected government has decided to halt its privatization, an official with the COSCO subsidiary in Greece said on Wednesday. On Monday, left-wing SYRIZA party leader Alexis Tsipras was sworn in as Greece's new prime minister after winning Sunday's national elections. 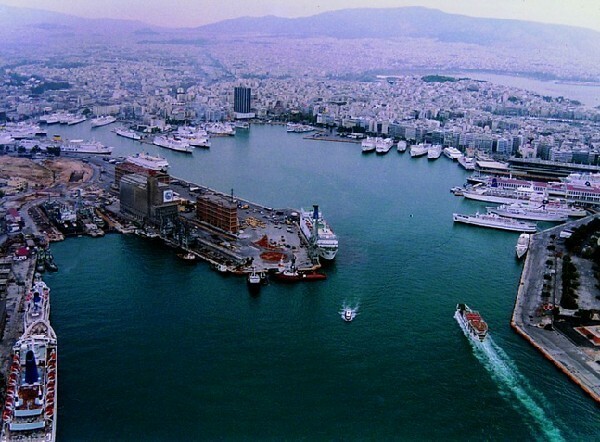 One of the first decisions announced by the new government was to stop the planned sale of a 67-percent stake in the Piraeus Port Authority (PPA). COSCO is among one of the suitors for the privatization of PPA. "The public character of Piraeus port will be maintained. The privatization stops right here, right now," Greek Alternate Shipping Minister Theodoros Dritsas told media on Tuesday. A senior official of the Piraeus Container Terminal (PCT), a subsidiary of the COSCO, who spoke on condition of anonymity, said Dritsas was referring to Pier I and other facilities owned by the PPA, not including Pier II and Pier III operated by PCT. Regarding further information about the suspension, the PCT official said the company had not been notified on this matter and refused to comment. Dritsas said on Wednesday the government will not proceed with PPA's privatization, because the "entire local community opposes this plan." Dritsas also said that "Greek people are connected with relations of friendship and solidarity with the Chinese people." China is seeking confirmation of Greece's new government about the privatization of Piraeus port, Greece's biggest port. "We have noticed the reports, and are checking with Greece about the issue," Foreign Ministry spokesperson Hua Chunying told a daily press briefing on Wednesday. Piraeus port has been run by the PCT after the financial crisis in 2008. Commercial traffic through the port has increased eight-fold since COSCO's takeover, attracting international giants such as ZTE and Hewlett-Packard to use the cargo terminals as logistics centers for their products. COSCO Group will continue to run two container terminals of Piraeus port in Greece after the new government has decided to halt its privatization.